REPOST of Podcast with Sue Nickles…. 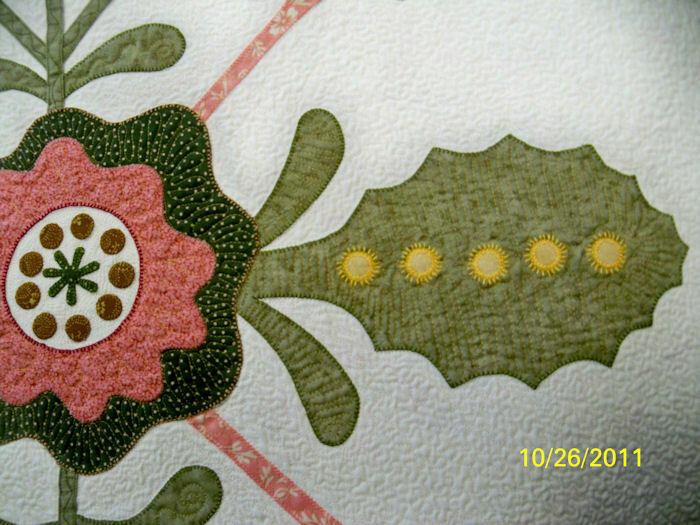 I had posted a podcast about my Machine Quilting Workshop with Sue Nickles last Friday night. It took me 5 hours to get it posted because I kept getting kicked out of Podbean. I do not know what the issue was but I could not get in, if I did get in I got booted out. Finally at 3am I thought I had the problems licked. WRONG! I got the written post posted by the MP3 file kept getting deleted and the embedded player would disappear from the post. I think I have it fixed, as I can now download from i Tunes. That usually means the issues are fixed. Give it a try, let me know if you have any problems. 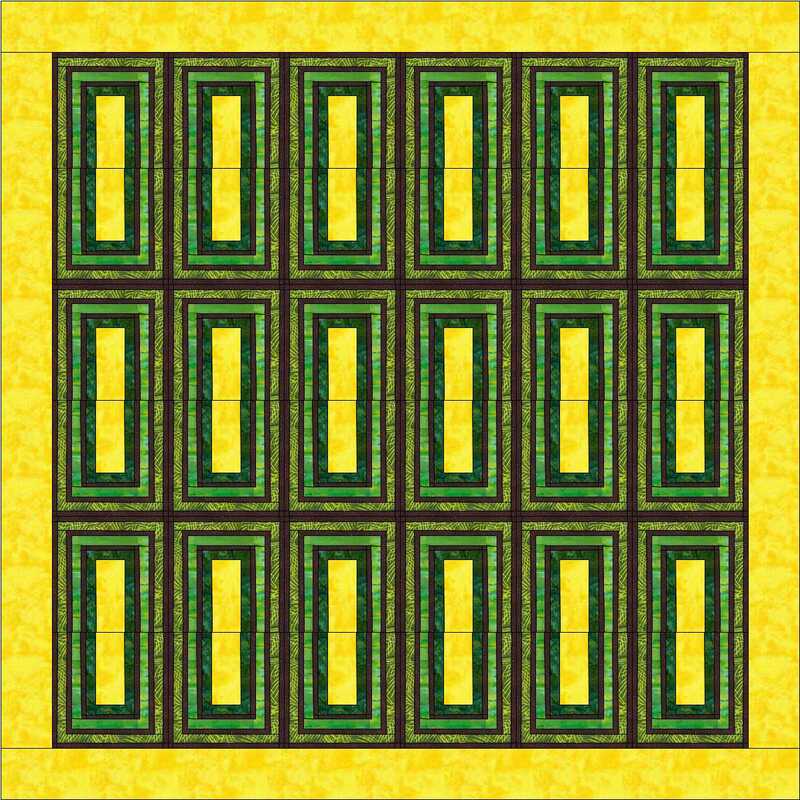 Surprise EQ7 block from Modern Blocks, from Favorite Designers…. 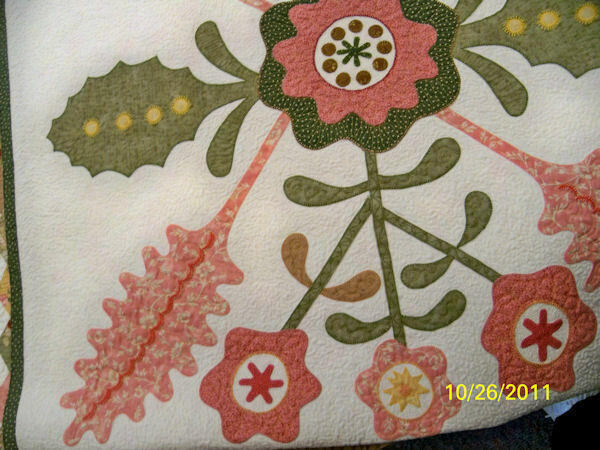 This quilt block totally surprised me when I placed it into the quilt. I did not think it would play out as nicely as it did. I am really surprised and pleased with the design that results. I thought it would be a type of rectangular circle just going round and round; light and dark playing with each other. Instead it has a creative snail’s trail look to it. 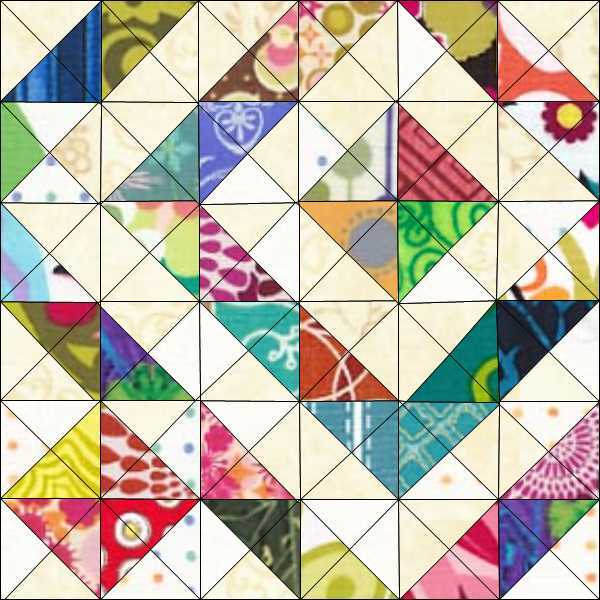 I am in a half square triangle exchange with friends from the LQS and I think this is the pattern I will make… I like it because it is different and since the triangles I will be using will be different fabrics and very scrappy this looks like it will be a great quilt to make using the exchange patches. Still having difficulty drafting the blocks on EQ, my lines are crooked and I sometimes loose lines after carefully drafting out the block. I found by increasing the snap blocks my designs became straighter and they did not disappear as often. All the lines to need connect, you can not have “FLOATING” lines. I used quarter square triangles in my patches, this allowed me to color the patches correctly for placement. 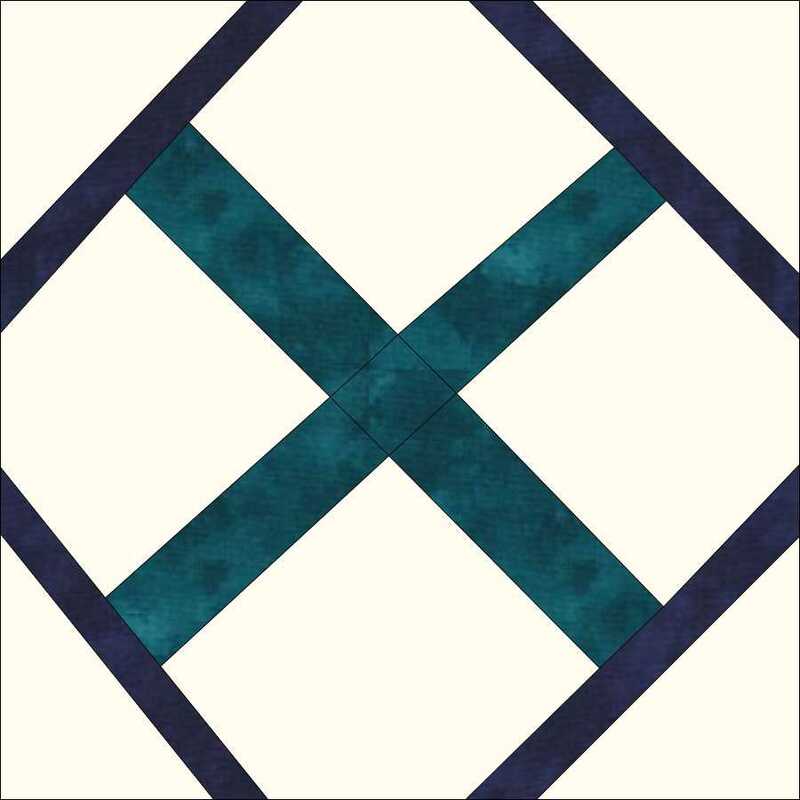 I will make the actual blocks using half sq triangles when I sew, but I did not know how to draft the block so that I got the coloration where I wanted it. I need to learn how to erase lines and redraft them. I have not learned that YET! 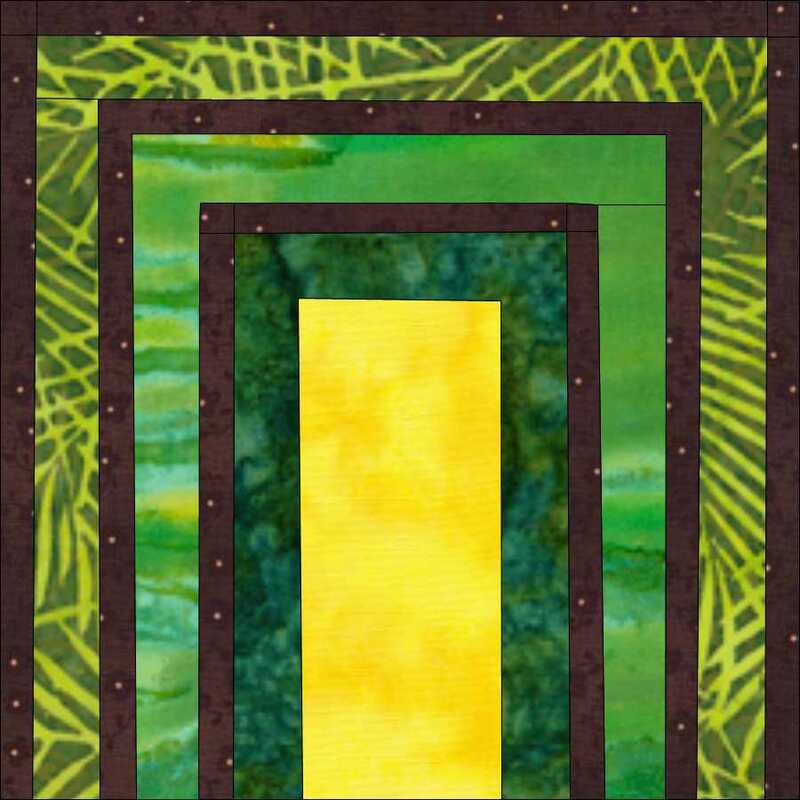 I spent the day with Sue Nickles taking a workshop called, MACHINE QUILTING ESSENTIALS. 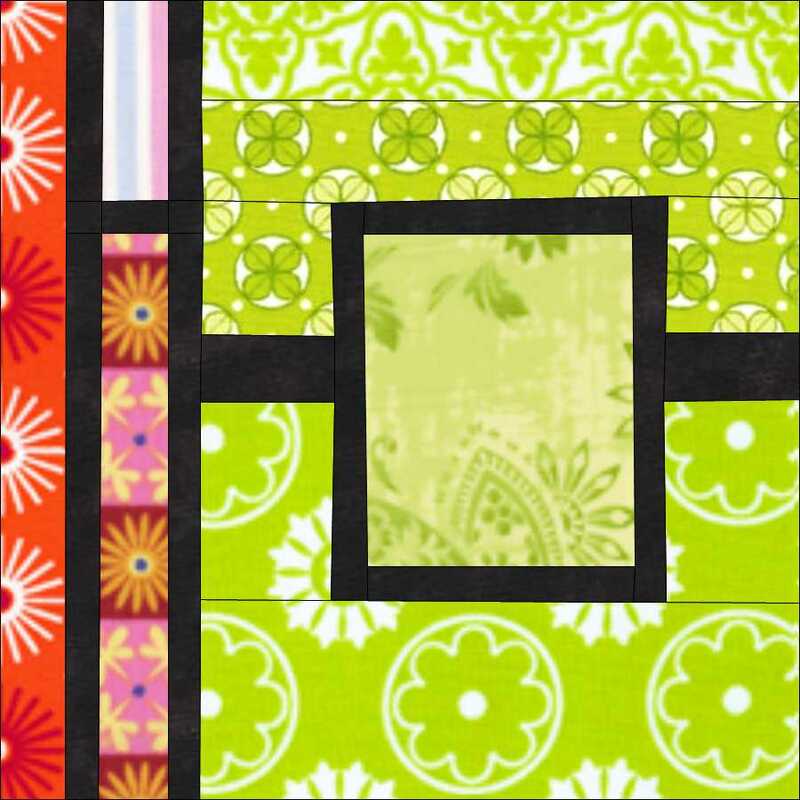 (Named after her book) This workshop is perfect for quilters who want to learn or perfect their machine quilting. Sue kept us on task while being really nice about it. I loved what I learned and plan to set up my sewing area so I can start doing my own projects. You will love taking any class from Sue! After we finished the workshop we went to Lucky’s for dinner and then to the guild meeting. We then had a power point presentation and lecture about machine quilting. So many of Sue Nickles quilts have won the BEST OF SHOW awards in Puducah, Kentucky and now live in the museum there. Sue was able to show us many of her quilts that are from her books. My favorite quilt was the BABY BEATLES Quilt. 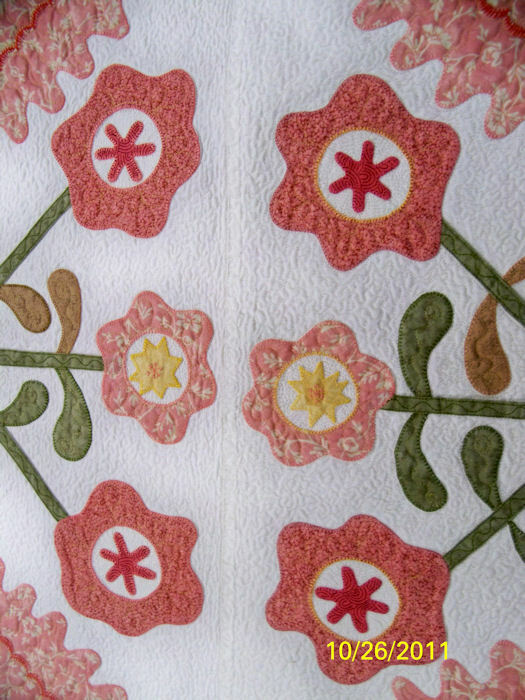 Many of the quilts that Sue showed was made in collaboration with her sister Pat Holly. 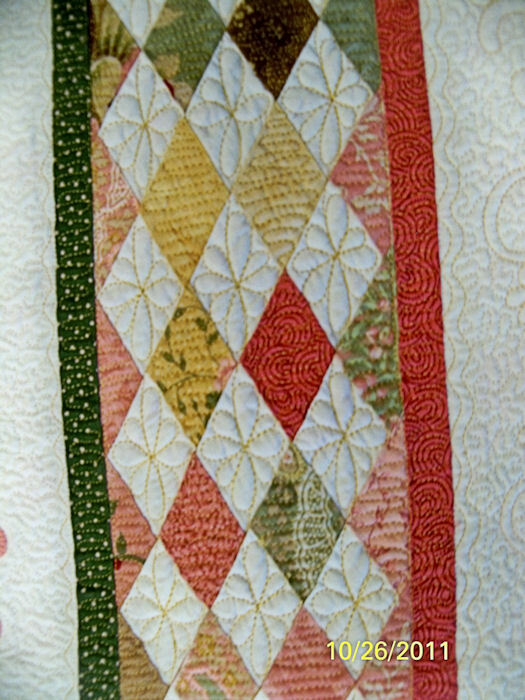 Sue has graciously given me permission to post my pictures of her quilts for your enjoyment. 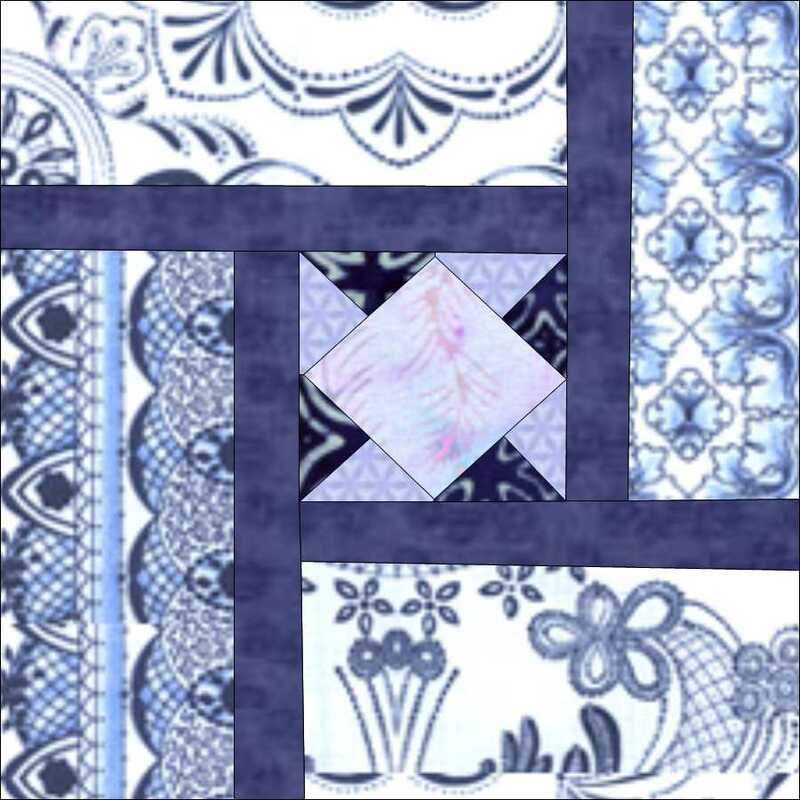 Let me say if YOUR GUILD wants to host workshops from a MASTER QUILTER, Sue is the quilter for you. INSOMNIA struck and this is what I came up with while I waited for sleep to come back. 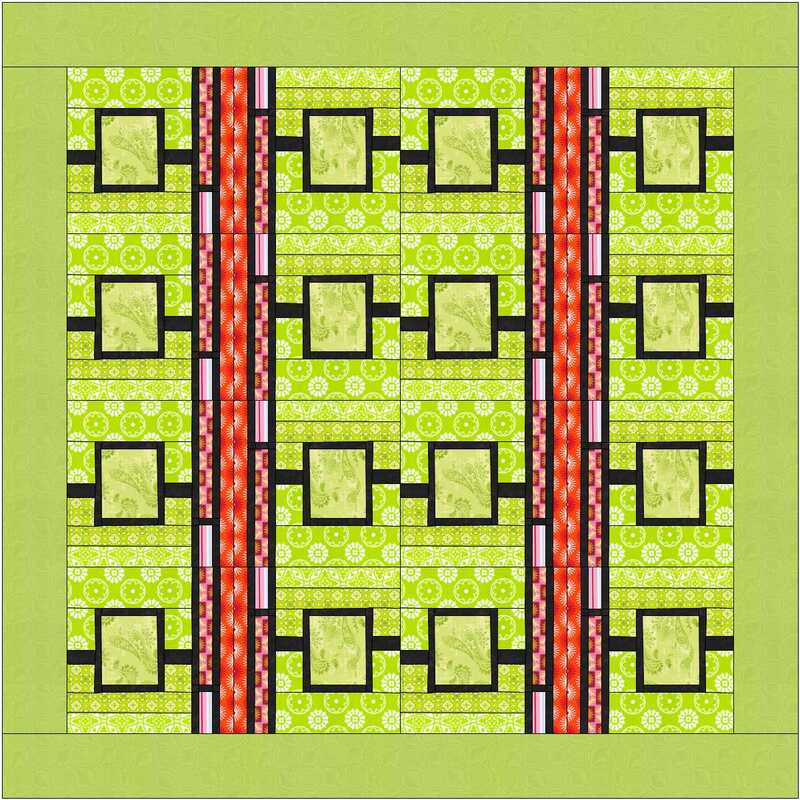 I am enjoying this bit of quiltiness while I wait to be able to put my sewing area back together. Playing with EQ again. I had trouble drafting this block because I tried to draft it like as if I was sewing it. The proportions are off, I might try to redraft it again. 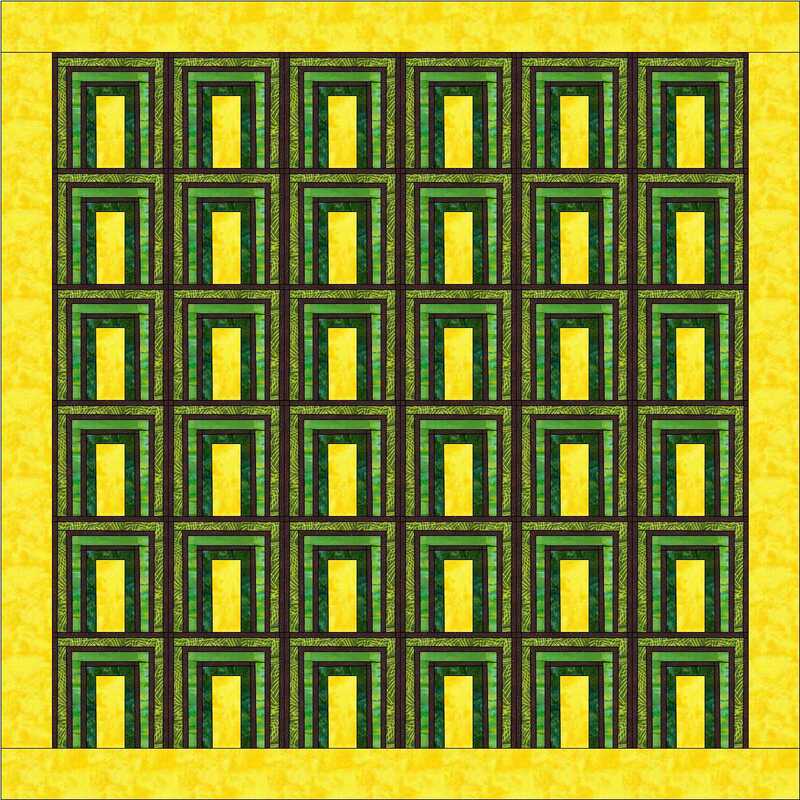 My laptop is not connected to a scanner or I would be using some of my own fabrics for these blocks. 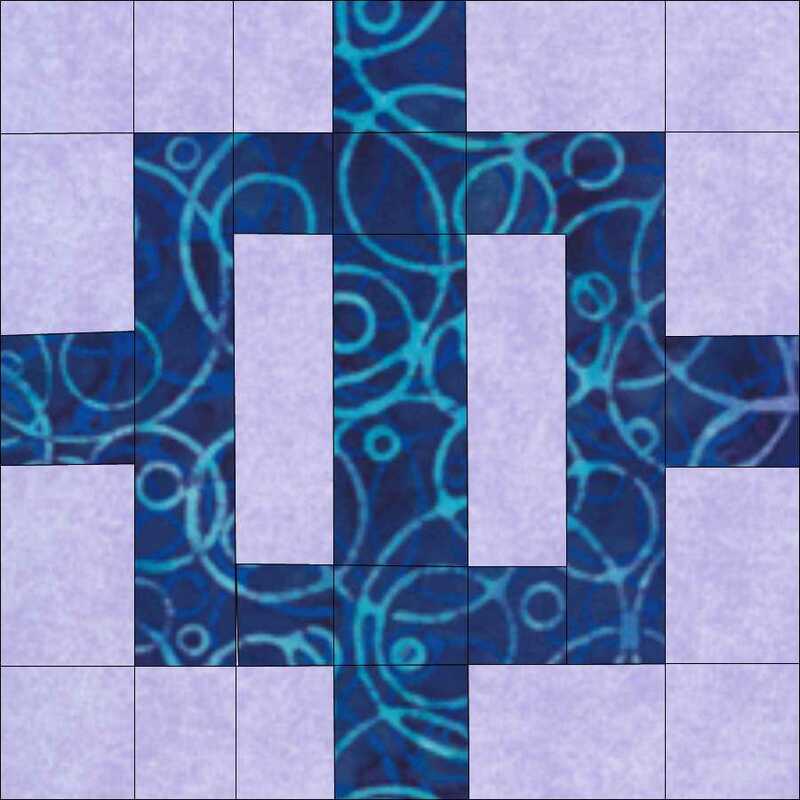 I do think I would make the vertical patches scrappier while keeping the horizontal blocks consistent. Again I will have a hard time picking out the layout, I will have to wait until the blocks are made. I have another reason to LOVE my EQ… It figures out yardage for me. That will be helpful when I raid my stash to make some of these blocks. I find I like bigger patches that feature the fabric I love. The less cutting the better for some quilts. This is my second attempt to draft blocks in EQ7. 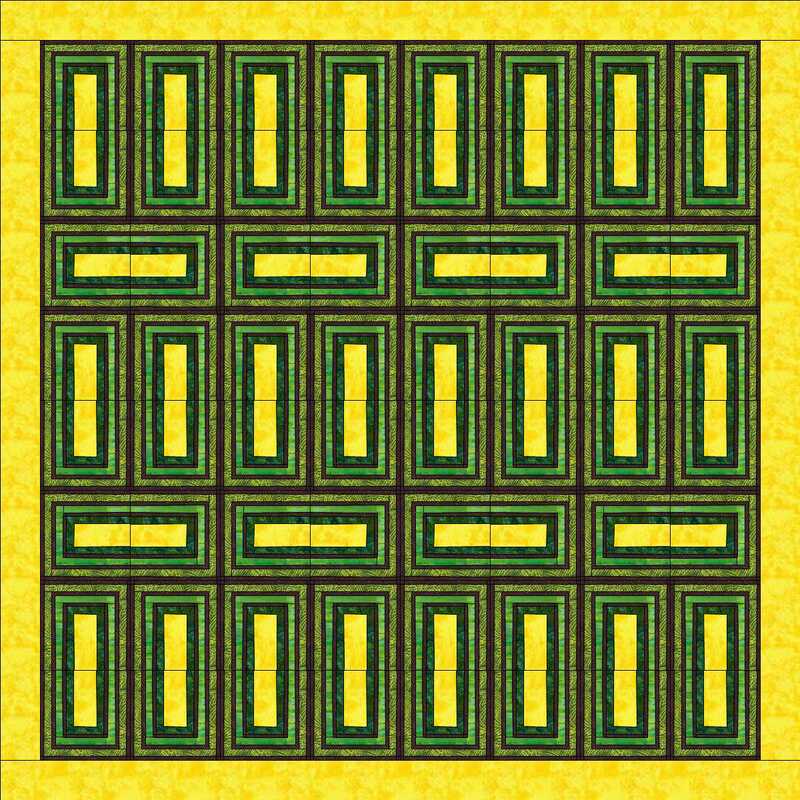 I find I need to SEE a quilt rendition before I make it up in real life. My draft is different than the book, in part because I am just learning to draft blocks in this program and I have a hard time maintaining the proportions in the pieces. The snap points and I disagree where my lines should be. I also find I like making adjustments to the pattern. 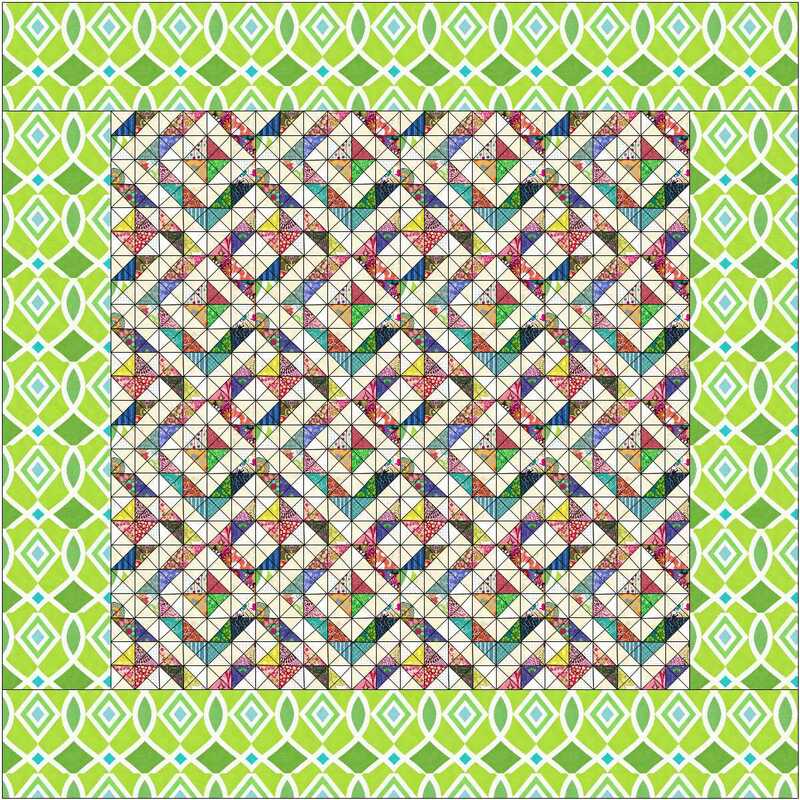 My center block is double the size of what was shown in the pattern…. but I like it. 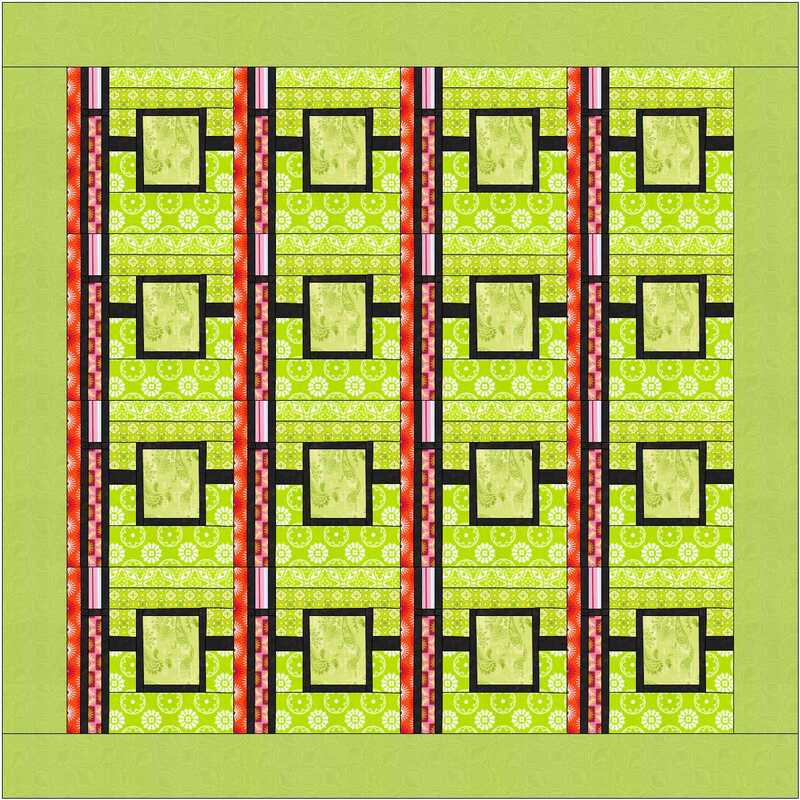 I made this block in the colors that are in the book but I have already started pulling fabrics for this quilt and it will be totally different. For one think I will fussy cut the center and make it three inches instead of two, as I want to show off the cute directional print. Not sure which version I should do but I will definitely have to make up my mind before then. 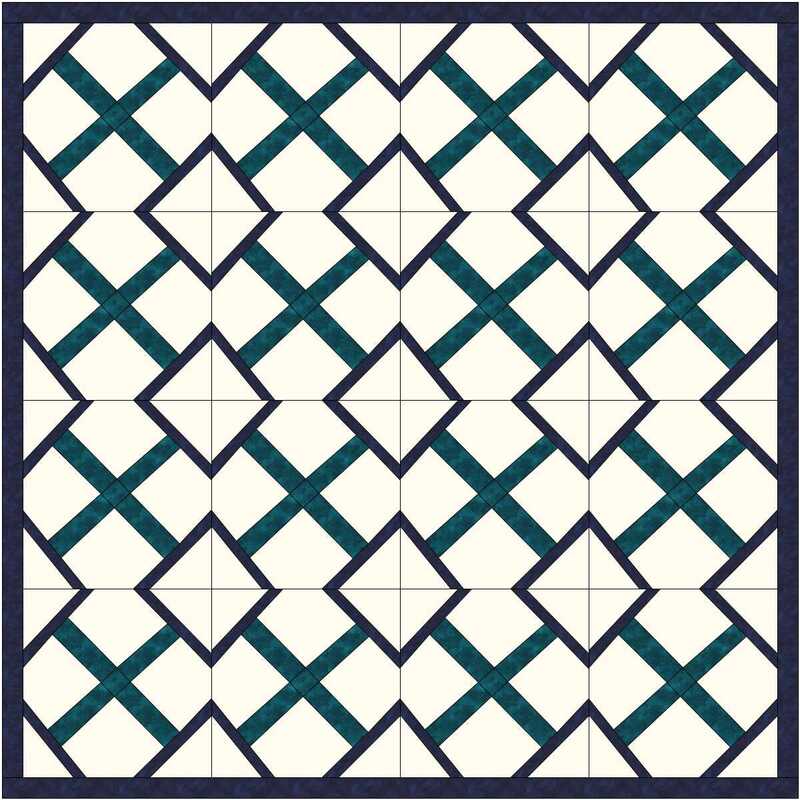 This is a block from Weeks Ringle and Bill Kerr, a couple of my favorite designers. I attempted to make a block in EQ7. I was not very successful. I need to learn how to line up the snap points better. 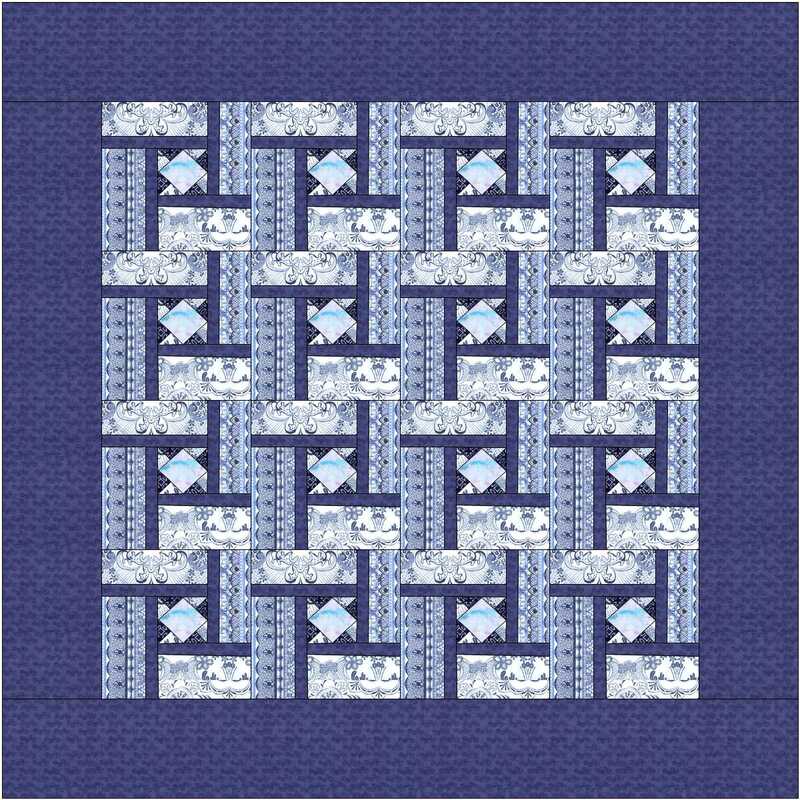 I also made a picture of what the quilt looked like. That is the really reason I am playing in EQ…. I want to see what the quilt would look like in an entirety. I think that was one of the few things I did not like about the book. 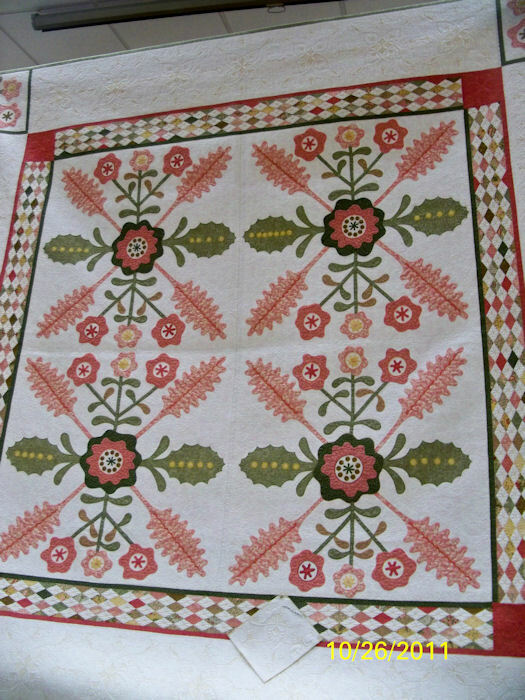 There were no picture of quilts made from the block in book. The instructions to make the block were easy to understand. I have some cute baby print fabric I plan to use to make the blocks. 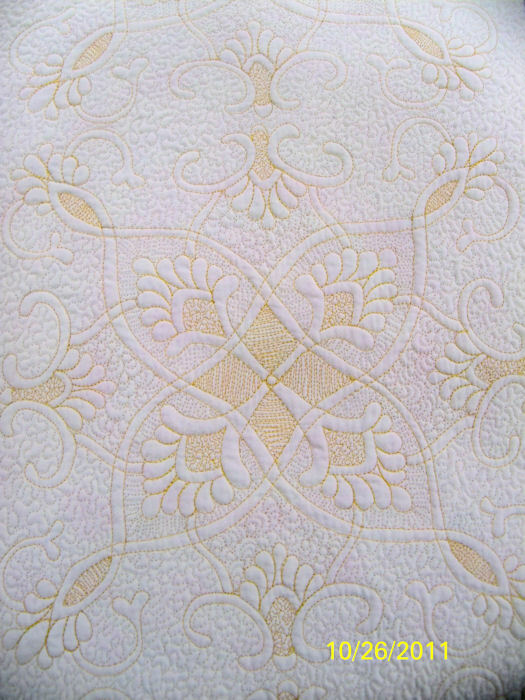 I know Ringle and Kerr, used solid material /colors but I plan to work out of my stash in order to make my quilts. I will post pictures when I am working on the project. Speaking of Ringles and Kerr, they are publishing a magazine. I am going to give the magazine a try, because I want to see what the MODERN QUILT movement is all about. 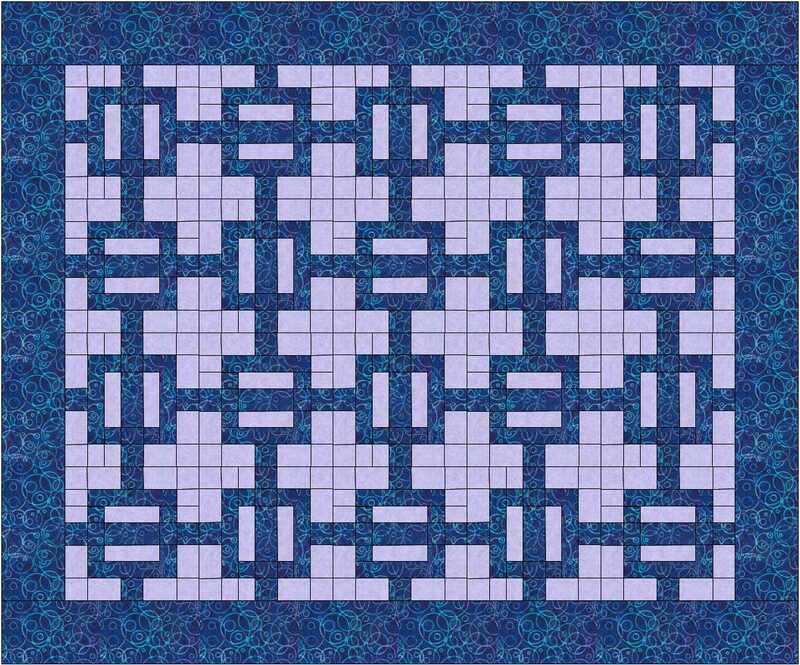 I will be posting more EQ blocks and quilts as I play with EQ. This is not a bad way to play with quilting while my sewing machine is still tucked away while we work on the house.